Arsenal have a major headache on their hands this summer as they must fill the void that Aaron Ramsey will leave behind following his move to Juventus. As confirmed by the Turin giants in an official statement last month, they announced that they will sign the Welshman on a free transfer this summer when his contract with the Gunners expires. The 28-year-old has been with Arsenal since 2008, scoring 62 goals in 361 appearances for the club, while winning three FA Cups having played a fundamental role in their albeit limited success. 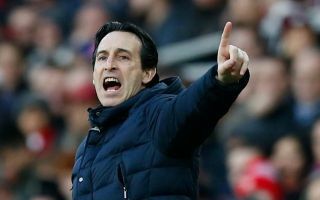 With that in mind, it is going to be difficult to replace what he has offered for over a decade, but with his exit set in stone, Arsenal must get on with the search to find his replacement. According to The Sun, via reports in Italy, it’s suggested that AC Milan midfielder Franck Kessie and Cagliari’s Nicolo Barella have emerged as potential targets to fill that void. Both young stars undoubtedly offer energy, combativeness and great work-rate in the middle of the pitch, although question marks could be raised over their impact in the final third, which will arguably improve with experience and maturity. Nevertheless, both are considered top talents for the future with both aged 22, while having also made a more immediate impact as key figures for Milan and Cagliari respectively. In turn, they could add more steel to the midfield, but ultimately with the likes of Granit Xhaka, Matteo Guendouzi and Lucas Torriera already in Unai Emery’s squad, it could be argued that they should be looking for players with different characteristics. Ramsey’s goal threat and creativity in the final third has been crucial over the years, and it has to be questioned if Kessie or Barella could effectively replace that, albeit they would be great additions in their own right.